Recently I held a wedding shower for one of my best friends. Those who have hosted a shower know how overwhelming it can be to plan. Food, drinks, games, decor…. Here are a few pictures of some fun and thrifty things I pulled together! 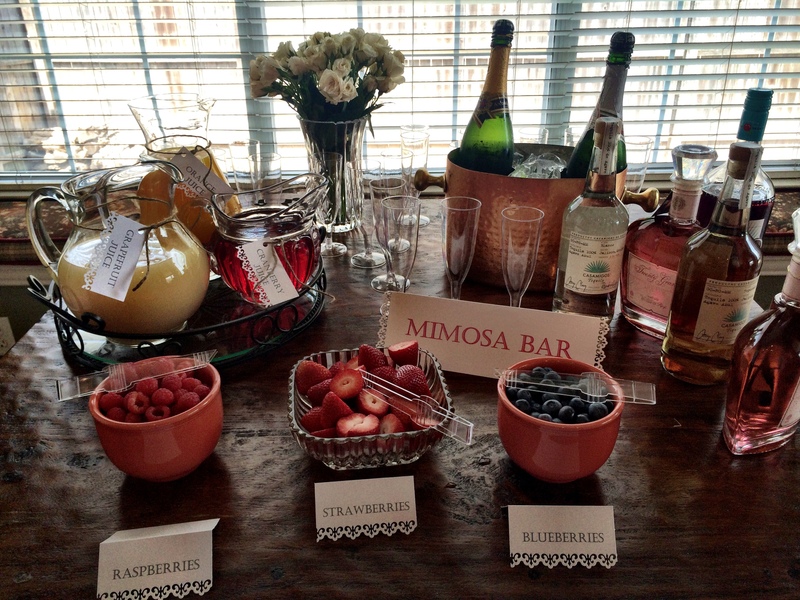 My “Mimosa Bar.” Because everything is more fun with Mimosas! 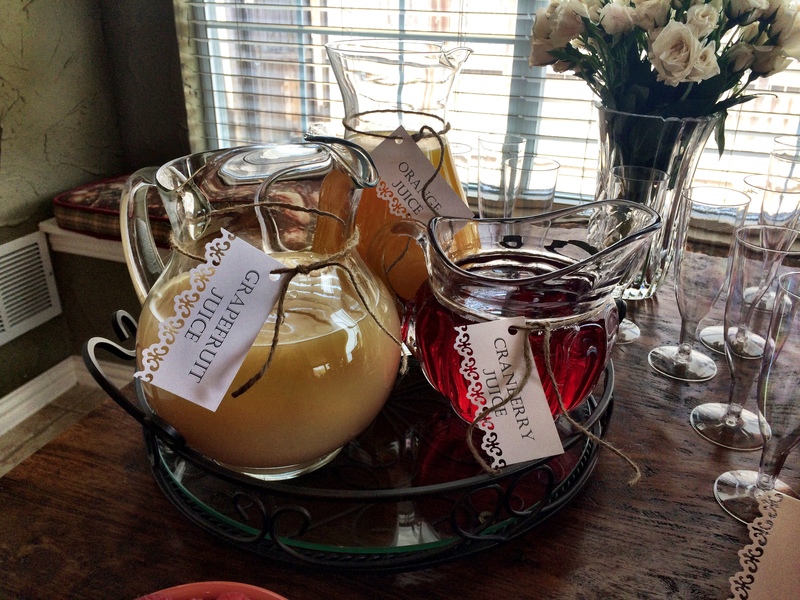 Guests could add fruit to their mimosas. They could also choose to have a champagne free mimosa or just have a juice of their choice. I took tine and tied them around different sized pitchers. We served Grapefruit juice, orange juice and cranberry juice. 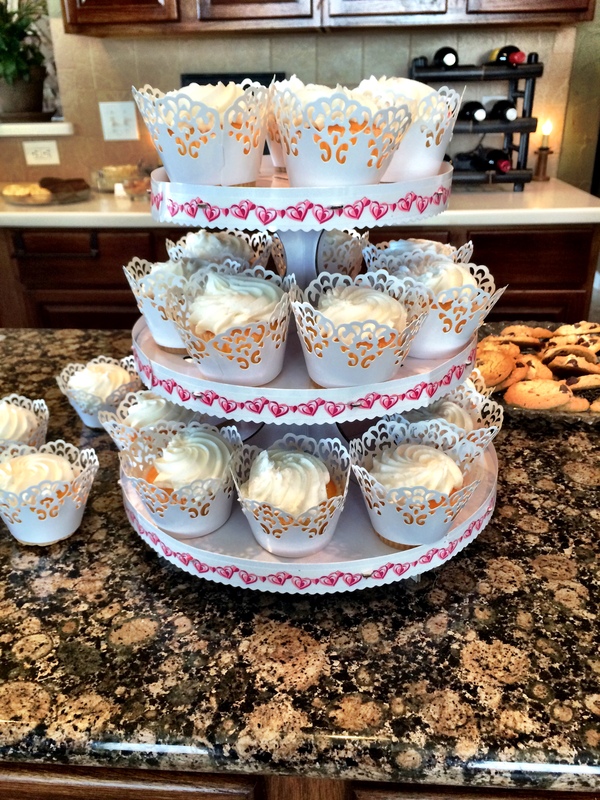 I found some very reasonably priced cupcakes at my local grocery store that were just plain white, then bought these cute cupcake holders at Michael’s for about $2.99 for 10. They dressed the plain white cupcakes up and gave them a more wedding like vibe. And I made this sign with just thick paper, stencils, some paint and glitter. 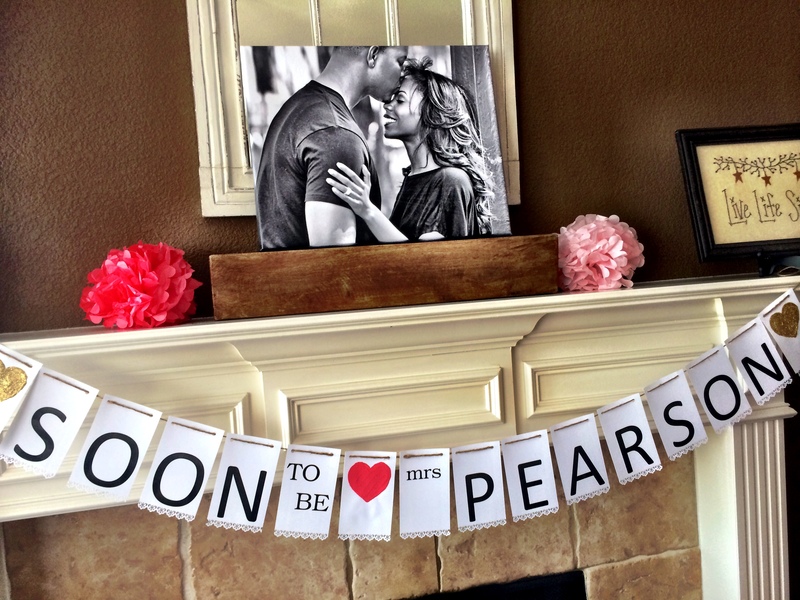 Then I used more tine to string it up on the mantel and placed one of their engagement photos on the mantel. I had a BLAST planning this shower and was very pleased with how it turned out.